The mosquito-borne virus Chikungunya may lead to severe brain infection and even death in infants and people over 65, according to a new study that reviewed a Chikungunya outbreak on Reunion Island off the coast of Madagascar in 2005-2006. The study was published online today (November 25, 2015) in Neurology, the medical journal of the American Academy of Neurology. The article is titled “Chikungunya Virus–Associated Encephalitis: A Cohort Study on La Réunion Island, 2005–2009.” Many cases have occurred in the United States in people who acquired the virus while traveling, but the first locally transmitted case in the U.S. occurred in Florida in July 2015. The Neurology-published study showed that the rate of brain infection, or encephalitis, from the Chikungunya virus is higher than the rate seen in the United States due to West Nile virus and similar infections between 1999 and 2007. Outbreaks of Chikungunya have occurred in numerous areas, including Africa, Asia, the Caribbean islands, and, as of September 2015, more than 7,000 cases have been reported in Mexico, according to the Centers for Disease Control and Prevention (CDC). The most common symptoms of the infection are fever and joint pain. Most people recover within a week. For some people, however, the joint pain can continue for months and even years. "Because there is no vaccine to prevent Chikungunya and no medicine to treat it, people who are traveling to these areas should be aware of this infection and take steps to avoid mosquito bites, such as wearing repellent and long-sleeves and pants if possible," said study lead author Patrick Gérardin, M.D., Ph.D., of Central University Hospital in Saint Pierre, Reunion Island. The epidemic of the virus on Reunion Island occurred in 2005 to 2006 and affected 300,000 people. Gene duplications are a common cause of intellectual disabilities and autism, as well as various other neurological disorders. 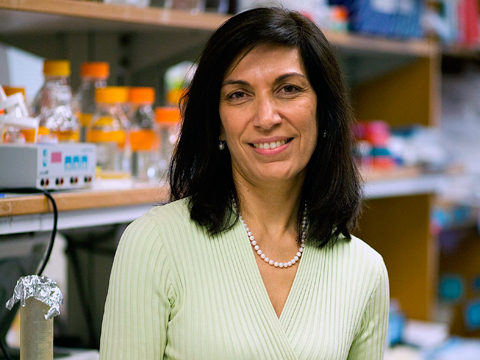 In a new study that was published online today (November 25, 2015) in Nature, Huda Zoghbi (photo), M.D., Professor of Molecular and Human Genetics at Baylor College of Medicine, and Director of the Jan and Dan Duncan Neurological Research Institute at Texas Children's Hospital, and her team showed that there is a new potential way to treat such disorders. MECP2 (methyl-CpG-binding) protein is a cellular maestro, that modulates the expression of thousands of genes in the brain, but its levels must be carefully controlled. Too little of the protein results in Rett syndrome, a childhood neurological disorder characterized by decreased cognition, inability to perform motor functions, particularly with hands, and autism-like behavior. More than 10 years ago, Dr. Zoghbi who is also a Howard Hughes Medical Institute (HHMI) investigator, discovered that MECP2 is a "Goldilocks" protein - too little causes Rett syndrome, but too much can cause a different neurological problem. The mouse models that Zoghbi's lab generated with an extra copy of the MECP2 gene developed a progressive neurological disorder. Dr. Zoghbi suspected there must be children or adults with analogous neurological problems due to duplication of the MECP2 gene and this proved to be the case. Boys with the MECP2 duplication syndrome suffer from poor muscle tone and motor function, cognitive disability, epilepsy, autistic behaviors, respiratory infections, and premature death. Once considered rare, it appears that MECP2 duplication syndrome is more common than previously thought, said Yehezkel Sztainberg, Ph.D., a postdoctoral fellow in Zoghbi's laboratory and first author of the report. What doesn't kill you could cure you. A growing interest in the therapeutic value of animal venom has led a pair of Columbia University data scientists to create the first catalog of known animal toxins and their physiological effects on humans. VenomKB, short for Venom Knowledge Base, summarizes the results of 5,117 studies in the medical literature describing the use of venom toxins as painkillers and as treatments for diseases like cancer, diabetes, obesity, and heart failure. Drawn from an automated analysis of the literature, VenomKB documents nearly 42,723 effects on the body. Though modern medicine makes use of only a small fraction of the toxins documented thus far, the researchers hope that the catalog will spur the discovery of new compounds and medical treatments. "With this list, we can take stock of what we know about venoms and their therapeutic effects" said Nicholas Tatonetti, Ph.D., an Assistant Professor of Biomedical Informatics at Columbia University Medical Center and a member of the Data Science Institute. "The questions now is: How can we use this information with other databases to discover new compounds and therapies?" Dr. Tatonetti and Joseph Romano, a graduate student, searched on the term "venoms/therapeutic use" in a database of 22 million medical research papers. This produced a list of 5,117 venom-related studies whose results they summarized using a pair of computer algorithms. After cross-referencing toxins and drugs listed under multiple names and correcting other irregularities in the data, they found 42,723 unique mentions of venoms having a specific effect on the body. Their results were published online on November 24, 2015 in a companion study (open-access) to Venom KB in the journal Scientific Data. A latticework of tiny tubes called microtubules gives your cells their shape and also acts like a railroad track that essential proteins travel on. But if there is a glitch in the connection between train and track, diseases can occur. In the November 24, 2015 issue of PNAS, Tatyana Polenova, Ph.D., Professor of Chemistry and Biochemistry, and her team at the University of Delaware (UD), together with John C. Williams, Ph.D., Associate Professor at the Beckman Research Institute of City of Hope in Duarte, California, reveal for the first time -- atom by atom -- the structure of a protein bound to a microtubule. The protein of focus, CAP-Gly, short for "cytoskeleton-associated protein-glycine-rich domains," is a component of dynactin, which binds with the motor protein dynein to move cargoes of essential proteins along the microtubule tracks. Mutations in CAP-Gly have been linked to such neurological diseases and disorders as Perry syndrome and distal spinal bulbar muscular dystrophy. The research team used magic-angle-spinning nuclear magnetic resonance spectrometry (NMR) in the Department of Chemistry and Biochemistry at UD to unveil the structure of the CAP-Gly protein assembled on polymerized microtubules. The CAP-Gly protein has 1,329 atoms, and each tubulin dimer, which is a building block for microtubules, has nearly 14,000 atoms. "This is the first time anyone has been able to get an atomic-resolution structure of any microtubule-associated protein assembled on polymerized microtubules," Dr. Polenova says. Many birds travel in flocks, sometimes migrating over thousands of miles. But how do the birds decide who will lead the way? Researchers reporting in the Cell Press journal Current Biology on November 25, 2015, now have some new insight based on studies in homing pigeons. For pigeons, it seems, leadership is largely a question of speed. The article is titled “Speed Determines Leadership and Leadership Determines Learning During Pigeon Flocking." "This changes our understanding of how the flocks are structured and why flocks of this species have consistent leadership hierarchies," says Dora Biro, Ph.D., of the University of Oxford. Previous studies had shown that flock leadership is unrelated to social dominance. Giving followers extra training flights doesn't promote them to a position of leadership, either. The new findings offer an elegantly simple explanation for the phenomenon of leadership in birds, with important implications for how spatial knowledge is generated and retained in navigating flocks. While many birds travel in flocks, homing pigeons are domestic and more easily studied than most. "We can control the composition of the flocks and the starting points for their homeward journeys," says Benjamin Pettit, Ph.D., the first author of the new study. "We also have a good understanding of their individual spatial cognition, in particular how their homing routes develop over repeated flights in the same area." Recent developments in sensor technology also make it possible to explore, with exquisite precision, how pigeon flocks are coordinated. The latest GPS loggers allow the researchers to track not only the birds' overall routes, but also the sub-second time delays with which they react to each other while flying as a flock. Drowning has emerged as a mysterious cause of death amongst groups of young common starlings (Sturnus vulgaris), according to research by a team of scientists led by international conservation charity the Zoological Society of London (ZSL). Drowning as a cause of death amongst wild birds is comparatively rare and normally involves single rather than multiple animals. Starlings, however, have been observed to drown in groups of 10 or more, prompting scientists to investigate these unusual occurrences. The research team studied 12 separate incidents of starling drownings recorded between 1993 and 2013, finding that on 10 of these occasions, more than 10 birds drowned. All of these incidents, which usually involved juvenile birds just a few months old, occurred during the spring and early summer months. In all cases, scientists found no evidence of underlying disease as a cause of death. Dr. Becki Lawson, lead author and wildlife veterinarian at ZSL, commented: "Drowning appears to be a more common cause of death amongst younger birds, as they may be inexperienced in identifying water hazards. This combined with the fact that starlings are a highly social species could potentially explain why multiple birds drown together. Members of the public from around Great Britain have been instrumental in bringing this unexpected cause of starling mortality to our attention by reporting these incidents. With starling numbers declining in general across the UK, we need to learn more about how and where these phenomena happen, in order to better understand why," Dr. Lawson explained. The research was published online on November 25, 2015 in an open-access article in Scientific Reports. Cells isolated from human umbilical cord tissue have been shown to produce molecules that help retinal neurons from the eyes of rats grow, connect and survive, according to Duke University researchers working with Janssen Research & Development, LLC. The findings, which were published online on November 25, 2015 in the Journal of Neuroscience, implicate one family of molecules in particular -- thrombospondins -- that may have therapeutic potential for the treatment of degenerative eye diseases. The article is titled “Human Umbilical Tissue-Derived Cells (hUTC) Promote Synapse Formation and Neurite Outgrowth via Thrombospondin Family Proteins.” "By learning more about how these cells work, we are one step closer to understanding the disease states in which these cells should be studied," said Cagla Eroglu (photo), Ph.D., an Assistant Professor of Cell Biology and Neurobiology at the Duke University Medical Center, who led the research. Umbilical cord tissue-derived cells (hUTC) differ from umbilical cord blood cells in that they are isolated from cord tissue itself, rather than the blood. The Duke team used an established cell culture system to determine whether and how the hUTCs might affect the growth of neurons isolated from the retinas of rat eyes. In an experimental setup that allowed the two types of cells to bathe in the same fluid without coming into physical contact, retinal neurons in a bath with hUTCs formed new synaptic connections between neurons, and they sprouted new 'neurites' -- tiny branches that lead to additional connections. These cells also survived longer than rat neurons placed in a bath lacking the umbilical cord tissue-derived cells. Something present in the fluid surrounding the neurons in the bath with the hUTCs was apparently affecting the neurons. In a genome comparison conducted by a working group led by molecular biologist Leopold Eckhart, Ph.D., of the University Department of Dermatology at MedUni Vienna, in Austria, it was discovered that genes for important skin proteins arose in a common ancestor shared by humans and turtles 310 million years ago. The study was published online on November 24, 2015 in an open-access article in Molecular Biology and Evolution. The article is titled “Comparative Genomics Identifies Epidermal Proteins Associated with the Evolution of the Turtle Shell.” The turtle shell is a highly successful concept of evolutionary development and its defensive function clearly distinguishes turtles and tortoises from other reptiles. 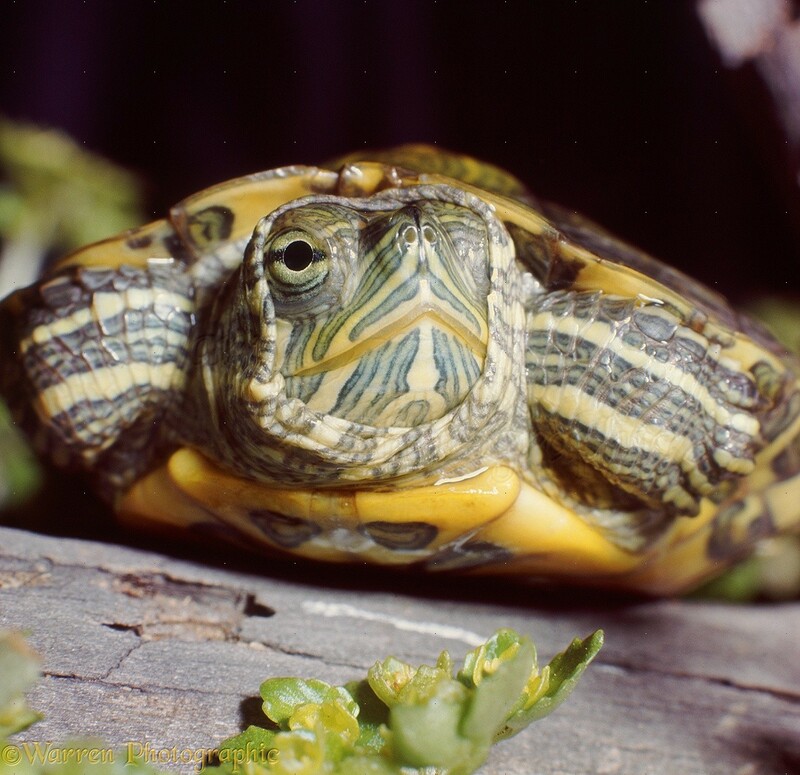 In the study, Dr. Eckhart’s working group investigated the genes responsible for the skin layers of the shell of the European terrapin (photo) and a North American species of turtle, in order to compare them with the genes of human skin. The study findings suggest that a hard shell was formed as the result of mutations in a group of genes known as the epidermal differentiation complex (EDC). Comparisons of genome data from various reptiles suggest that the EDC mutations responsible occurred when turtles split off from other reptiles approximately 250 million years ago. What is remarkable is that the basic organization of the EDC genes is similar in humans and turtles. This leads to the conclusion that the prototypical EDC genes developed in a common ancestor, who lived 310 million years ago and was similar to modern reptiles. In the case of turtles, these genes developed so as to form proteins that bring about a significant hardening in the outer layer of skin, intensified cross-linking, and hence, the formation of a shell. Among the 5 000 existing species of mammals, more than 100 have had their genome sequenced, whereas the genomes of only 9 species of reptiles (among 10,000 species) are available to the scientific community. 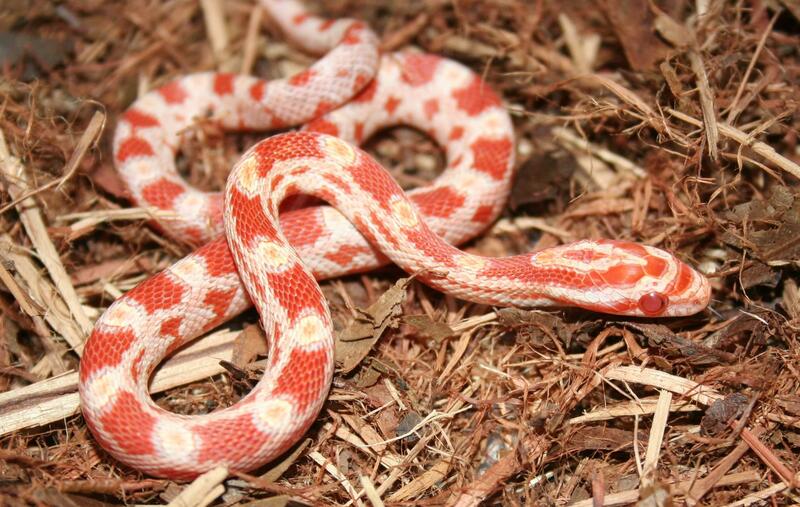 This is the reason why a team at the University of Geneva (UNIGE), Switzerland, has produced a large database including, among other genomes, the newly-sequenced genome of the corn snake, a species increasingly used to understand the evolution of reptiles. Within the same laboratory, the researchers have discovered the exact mutation that causes albinism in that species, a result published online on November 24, 2015 in an open-access article in Scientific Reports. The article is titled “Amelanism in the Corn Snake Is Associated with the Insertion of an LTR-Retrotransposon in the OCA2 Gene.” Genomics allows better investigation of the evolution of the living world. Indeed, describing the function of each gene should allow an understanding how snakes lost their limbs or how various snake skin colorations have evolved. Unfortunately, reptiles are poorly represented in genomic databases. This is why Dr. Athanasia Tzika, a researcher in the Department of Genetics and Evolution of the UNIGE Faculty of Sciences, has built a database including sequenced genomes from the major evolutionary lineages of reptiles: the Reptilian Transcriptomes Database 2.0. “Our aim was to produce, ourselves, a substantial portion of the missing data by sequencing all genes from several reptilian species. To reach this goal, we used tissues, such as the brain and the kidney, expressing the largest number of genes,” says Dr. Tzika. Multiple other teams also generated sequencing data, but each team used different methods for data analysis, making it difficult to rigorously study the evolution of reptilian genomes. Consequently, a key part of Dr. In an article published online on November 18, 2015 in Small, researchers successfully applied a new qualitative and quantitative method for the detection of a DNA sequence characteristic of Leishmania infantum kinetoplast, a frequent parasite in veterinary animals that also affects humans. The article is titled “Magnetic Bead/Gold Nanoparticle Double-Labeled Primers for Electrochemical Detection of Isothermal Amplified Leishmania DNA.” The effort was led by Catalan Institute of Nanoscience and Nanotechnology (ICN2) researchers in colaboration with University of Barcelona (UAB) researchers, within the POC4PETS European Project, aimed to improving the speed and accuracy of current diagnostics for veterinary pathogens. The work was carried out at the ICN2, a research Center placed in the Campus of the Autonomous UAB in Bellaterra, and at the UAB spin-off company Vetgenomics. This research was coordinated at ICN2 by ICREA Professor Arben Merkoçi, Leader of the ICN2 Nanobioelectronics & Biosensors Group, and Dr. Alfredo de la Escosura-Muñiz (first author of the article) with the collaboration of Luis Pires, Ph.D. student from the same group. The work was carried out in collaboration with Professor Armand Sanchez, Dr. Olga Francino, Dr. Laura Altet, and Lorena Serrano from Vetgenomics. Their results are part of the bio-applications defined in the ICN2 Severo Ochoa Program “Devices for Social Challenges.” The present work has been published within the POC4PETS European Project (www.poc4pets-fp7.eu), coordinated by the Alma Mater Studiorum – Università di Bologna (Italy) and aimed at improving the speed and accuracy of current diagnostics for veterinary pathogens.